I am celebrating this week with a fun new contest. I recently reached 250,000 hits and I so want to thank all of you for your support! Also, I am super excited to be a guest designer on Everyday Cricut and want to say welcome to new viewers. If you’ve been following this blog, you know that the previous contests were favorite tip and favorite tool contests. The tips were outstanding and everyone had a great time sharing them. This time, we’re doing favorite organizational crafting tip. Are you ready to play the organizational tip contest? To play, you need to be a subscriber/follower of my blog. You can sign up over on the left side of this blog (if you are not there already). Please leave a comment on this post telling us what your favorite organizational crafting tip is. We would love to hear your tip on how you organize your crafting supplies or your crafting area. Please, one comment per person and remember the contest closes Sunday night at midnight. The winner will be picked at random using the random number generator and will be announced on Monday October 24th. 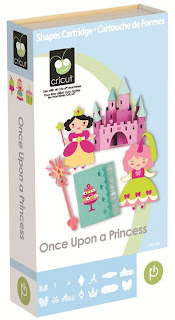 The winner will receive the Just Because Cards cartridge, the Once Upon A Princess and the exclusive "My Cricut is My Therapist" Cricut Everyday cartridge. The winner gets all three! Yahoo!! Here is my favorite organizing tip for storing my scrap papers. I can’t wait to read about your favorite organizing tip! Above is a sneak peak of my post on Everyday Cricut. Please stop over to see the entire post! Wow! It is going to be a fun week! Hi Linda, Really enjoy your blog, videos and tips. My organizational tip if for cardstock leftovers. I use the transparent scrapbook page savers that have a snap closure. I separate the paper by color and file in these envelopes. I can see exactly what I have and the sizes. 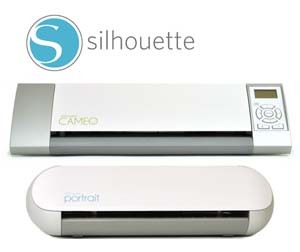 Wow has this changed my paper usage especially when using my cricut. Michael's has these on sale every so often for a very low price. o wow I never would have thought to store my left over paper that way, very cool! !You could also use that as a little brag book!! And here I was going to buy A Your Story when Duct tape is all I needed!! Anyways my orginizion tip is using magazine racks(i got mine from ikea for $3 for 5, cardboard ones) and then use file folders to store my scrap paper, i have them colour coded and sitting in the magazine racks on a shelf very hand and easy to see. Thanks for the chance to win!! I came over from Everyday Cricut. The cards are absolutely fantastic! I have the horizontal shelves that snap together for my 12 x 12 paper. Each color on it own and I put my scraps on top of each color coordinated shelve. So I don't have to go searching anywhere else. One of my favorite tips is to organizer clear stamps in clear cD cases or CD pocketpages. The pocket pages can be stored in a binder and easily viewed. I was thinking of getting a clip it up b/c my clear stamp collection was growing too big for the drawer I had them in and liked the binder method better for easy viewing. Your snowman card is so adorable! You have inspired me to make my own Christmas cards this year! My organizational tip is for Cuttlebug folders. I first label them a permanent marker on the top of the folder. Then I used my son's square plastic dough containers,to store all my Cuttlebug folders. No play in the containers anymore. LOL! At the moment, I have four containers full of different comapnies folders,Cuttlebug dies, Sizzix texture plates and Fiskars embossing plates. Thks for the chance to win. I love your shaped cards they are very inspiring..
Congrats on so many hits - and the guest design spot! I think my favorite organizational tip is to actually put stuff away, not leave it sprawled on the table! Heeheeheee! Otherwise, I also love keeping all my pens, scissors, and misc. tools in a Pampered Chef Tool Turn About - it holds a lot, and turns around so I can get what I need! Thanks for a chance to win! Love your cards on Everyday Cricut! Since I am a Creative Memories nut, I use their Power Palette folders to store scraps of paper, large sheets, stickers, abcs, 4x6 mats - it all fits and coordinates. Plus the folders are strong and safe! great info... gonna try it - thanks!!! Wow! Your tips are great. I am not quite that organized, but what I have set up works for me. I have a large shelf which I had specially made for me. The bottom shelf is 12" deep by 15" high and houses all my albums, paper in vertical files and the other shelf is 10" deep. The shelf is 6 ft long and sit right above my work area. I have limited space so the balance of my things are in clear bins in the closet. Not the ideal, but space in limited. Loved your cards and thank you for the directions...will have to give it a try. Thank you! Clear show boxes are a must for me in my craft room. You can see thru them and know what's in side. I just reach for the one I need. I like your idea for taking along my printed paper. I have a expandable folder with dividers and I sort my solid card stock by color family. It's great to take to crops and easy to reach in a grab a small piece when I just need an embelisment. Clear shoe boxes are a must in my craft room. Stacked on shelves, I can clearly see what is in each one and which one I need. Those are so adorable! I love the zebra, that is my fav! Thanks for sharing. Just joined your blog. My favorite organizational tip is storage for circut cart overlaysand books- I use the photo storage boxes. The dividers that come with them are perfect for keeping the cart., book, and overlay together. The boxes can be purchacsed at Michaels for $2-3 when on sale and one boxe will hold about 15 sets. I also tear the non-english instructions out of my books- this make room for more carts in the boxes! I just LOVE your cards... I've been looking for inspiration for shaped cards! Love your art work and inspiration. My favorite way to organize paper scraps is in zip lock bags on my paper shelf filed with each color. I have so much paper that for me is the easiest way to keep it. I bought clear binder pouches from walmart and I store all my cuttlebug folders in them in a binder. I can get four folders in each pouch and they are easy to flip thru and see what I want. I also used these to store my nesties. I used half a magnet sheet and stick the dies to it. Depending on the size of the nesties I can fit 2 to 4 in a pouch. It works great becaue they are zippered and I don't lose anything. What a darling card you posted on Everyday Cricut! I am really into snowmen so I appreciate this card a great deal and will try some. I received a garden tote from the Nature Conservatory for my donation and I have it chock full of my tools, glues, ATG gun, hole punches, scissors, etc. I can handily move it around where I want it and it holds a lot of stuff. I think some of the tool trays from the hardware store would work well also. I also store lots of stuff in photo boxes with labels (i.e. "fall", "summer", "heat embossing", etc. The way I stay organized is to put all the coordinating papers, photos, and embellishments (even the Cricut cartridge) for each page or project into a acrylic plastic bin. You know the ones that are about 4" deep and stack really nice. I call it ""power layouting! I have been known to save the tiniest scraps of paper and I up to now, haven't had a great system for saving and finding them. Thanks for the great tip today! wow! How fun reading everyone's tips on organization. I'm going to agree with a few of the gals, my best way to organize is to put things away when I'm through with my project before starting on another. I also use the clear drawer bins and I have labeled them on what is inside. So helpful!!! My tip is for brads and other small items. Have a certain size container that you purchase, take the embellishments out of the store package, sort by color and/or size, then put them in the purchased containers. Place ALL the containers in ONE large drawer or carrying case. Now, when you're looking for a brad, or other small embellishment, you know right where to go! Came over here from Everyday Cricut.....would love to win, especially the last cart. I have been drooling over that one forever. My fave organizing tip is a metal sign that hubs had hidden behind his barn. I nabbed it and washed it, put magnets on metal wedding favors and now I can see most of my embellies without searching thru piles of stuff anymore. Linda, love your projects. Always looking at your projects from the Circle. I love to store my "stuff" in baskets. It looks nice & I can find everything. The snowman card is my favorite. I've never noticed this particular snowman before... I can't believe that because I LOVE snowman anything!! My favorite organizational tip is something I just did this past weekend. I went to my local Home Depot and bought pantry can racks. The racks are about 5" deep from the wall and come in 30" sections (4 shelves to a section). I put six of these up on my wall behind the door to my craft room - GREAT for storing all my punches and those clear craft jars!! I purchased some small (7" high) storage units that have 3 drawers in them for my rubber stamps. I love the shaped cards! The ones you posted on the Everyday Cricut site are too, too cute! Your creations are the bomb! I store my supplies in boxes and bins, drawers and shelves. Everything is right where I can find it easily! Thanks for the chance to win!!! Hi Linda, Boy I have been missing a lot. I thought I was going to get emailed each time you posted. I just redid that. Love the tip. What a great idea. This is great to read all the organizing tip comments. Thanks for doing this and a chance to win. I just subscribed to you blog. Love the zebra! I have a regular desk for scrapbooking so I use the drawer made for hanging file folders for my cardstock scraps. I use colored file folders & put the coordinating color of paper in these folders. When I don't have a folder the color I need, I label it. Just came over from Everyday Cricut, and I am so glad to find this blog. I thoroughly enjoyed eveyone's thoughts on organizing, and I will be making some changes to my craft room. My best tip is to keep my tools all together, and all my embellishments together, and everything labeled in clear drawers and boxes. I love the little scrapbooks for leftover scraps. This would also make fun goodie bag fillers for crops. Just became a new follower. My most recent organizational tip would be the plastic travel makeup cases. I bought one at Target for like $5 and punched a whole bunch of holes in it. Throw my ribbon in and pulled it through the holes. Now I can see exactly what ribbon I have and it untangles itself as I pull it out. Love love love you site!! I just discovered it and you and thank you for sharing and inspiring! I can actually find my pieces now from the pads you showed!! Yahoo!! I love your site. Just saw it this morning, since I subscribe to Everyday Cricut. My favorite organizational tip is to use boxes decorated using my Cricut for everything! I had a bunch of Girl Scout cookie (cases) boxes left over and decided to use them in my craft closet to organize my things. I decorated the front with a label that I made from the Cricut. I have also done this in my Tuppeware cupboard to hold the little things and lids, and in my linen closet to hold sheets. I have also done it in my son't closet to hold his baseball clothes. I use the 8 1/2 x 11 drawer systems for my scraps. I love challenging myself to use the scraps! Hello Linda. I always enjoy your videos. I have no organizational talent! I am in the process of redoing my scraproom and need help. When I go to crops, I put each layout page in a 12x12 snap envelope with all the cutouts, brads, stickers and anything I use on that particular page so I can be more productive at crops. How lucky I feel to see such beautiful work & wonderful tips! My basement is my 'craft cave' & I have shelving full of clear containers marked with 'embellishments, ribbons, brads....' I also have one I use for 'extra' shapes/words I've cut with my Cricut. All my scraps of used paper goes into a covered storage box (from Ikea) for easy access. All my paper is stored (color coded) in a paper storage unit I bought at JoAnns. My tip is for ribbon... At my scrapbook table I have a wire that is hung with 2 eye hook screws and holds all of my spools of ribbon, I even have some small paper clips on it to hold any ribbon scraps. It makes them easily accessible and looks pretty too! To organize all my rbbon I had made a 10 rod origanizer using rods and 2x4s then I stained to give a finished look as well as brass knobs. I see all my ribbon which makes easier to choose. Your web site is great! My favourite tip is using a binder with the plastic photo pocket pages in it for all my little embelishments...easy to see and doesn't take up a lot of room. What a thrill to 'find' you! I am a paper hound and can't bear to throw out any scraps! I color coordinate them in an accordion file folder so they are easily accessible. This helps me not have to cut up perfectly good whole sheets of paper, and when I open the folder the papers are completely visible to me by color. I'm loving your blog! I'm a first time visitor and follower now. Inspiration overload right now!! My organization tip is for filing colored papers. I have a large file box where I can label each section by color. It's organized enough to carry w/me to crops! I love it! Hi Linda, Love your snowman card over on Everyday Cricut. My organizational tip.....lots of baskets for tools, markers, punches ect. I also have the wire paper rack that stores all of my 12 x 12 papers and paper stacks. Congrats on your 250,000 hits!! I have enjoyed reading all these organizational tips. I use the Creative Memories 12x12 plastic paper folders to hold my full size sheets and gallon ziploc bags to store my scraps (sorted by colors). I use little baskets to store other items like scissors, pens, tools and cricut accessories. my tip is I bought 10 photo boxes(on sale of course) then I organized like things together. I have one box for glitter, one for embossing powders, one for cuttle bug folders... You get the idea. When I did this I couldnt believe that I filled the embossing powder box to the TOP... I didnt realize how much I had. Same with the glitter. I do have more than I need. So now I know I need not buy more. Each box is labled and stacked 5 high. hmm...my favorite would have to be that I store my spellbinder designs in one of those small cheap photobooks for 4x6 photos. That way each set stays together and I can look through it easier to see what I have! Linda, glad I found your blog through Everyday Cricut. Love the shaped cards! Looking forward to the variety of your blog! I have a lot of die cuts. I struggled with storage and being able to view what I have. I love swaps! So I got this idea off of You Tube...I put all my die cuts in a photo album with the old fashioned sticky pages. It works great and I can see everything! YEA! First -- LOVE the snowman! I am making little snowmen ornaments for the Christmas tree and after seeing the embossed dots, know EXACTLY what mine was missing! TFS such a cute project! My favorite organizational storage tip is to use the gallon-sized zipper type bags for everything! lol I have file boxes that I label (red scraps, green scraps... flowers... circles, etc!) and then put them into fild folders and hang them in a file folder box. The boxes stack, everything is organized so when my 4 year old granddaughter wants to craft, I have something for her to do! :)If she wants to make a garden picture, I pull out the greens and flowers! Sicne I always have leftover pieces from swap cuts, she has a lot to choose from and be creative. New to your blog and already love it. Super cute creative ideas. My organizational tip is using plastic tackle boxes with the multiple dividers to store my chip board embellishments. They sell these boxes in craft stores, but they are cheaper if you get them from the sporting dept. I love your snowman card! If you could see my crafting area, you surely wouldn't ask me this question! LOL! The main thing I do is to separate my single sheets of paper by color. I leave the stacks I buy intact so I can tell people when I post my projects what stack I used. I also have my ribbons organized by cool and warm colors so that it's easier to know which box to grab when I need a specific color. I have been a subscriber for some time now and want to thank you again for all the useful information and inspiration I get from reading your blog. I have turned my old baby wipes plastic containers into really cute ribbon holders! Each time I purchase a box of diapers I recieve a new one, with a little fabric, hot glue, craft knife, and a dowel rod I can create my own ribbon boxes. I love it because not only does it allow for organization but its also reflects my personality and personal taste! Upcycling is my favorite. I would love to have some organizational tips to share. But I loved reading all the comments. Hi Linda! I am new to your blog and just found you from Everyday Cricut. I love your cards and I REALLY like your reindeer held together with the brad. So cute and simple and you don't need a gypsy for that. My favorite organizational tip is storing my bigger 12 x 12 scraps in clear envelopes, by color that close together with a string and then they fit nice and perfect vetically in a BIG file drawer to the left of my scrap desk. I put smaller scraps in 1 gallon size ziploc bags and store those flat on top of my unused cardstock by color family. I always grab the smaller bag first when making cards... and go to my file drawer for the big stuff when doing scrapbook pages. Your blog is great and I can't wait to see your future creations! Hi, I am new to your blog .. came from Everyday Cricut. Your cards are fantastic .. especially love the Create a Critter card! Just adorable! I love buttons and have accumulated so many of them. I like to store them by color in glass jars I bought from Ikea. They are all lined up on my craft room wall where I can see them in all their "prettiness." Thanks for the great tip for paper scraps! For me, organizing my thoughts for papercrafting is as important as the actual items to finish the work! My 3-ring binder with write-on divider tabs keeps track of crafting subjects as it makes sense to me -- fun ideas and examples, sayings and phrases, printed tutorials, and favorite websites I've come across. Inventory (list of Cricut cartridges I already own, for example) and my "wish list" live in there, too. It's great for inspiration, and holds project ideas neatly until I can get to them -- no loose papers laying around and getting lost. Three-ring page protectors are handy to slip in bits and pieces of items not easily 3-hole punched, too. Costs very little and organizes and tracks my thoughts better than I can in my head! My dh made me a cart that holds hanging files. I have a file for each color cardstock and paper pack. I store scraps in a CM folder that has three sizes of pockets. I keep it in the appropriate hanging file. The cart rolls under my desk when not in use. Love your site and all the tips. Will give this a try. My favorite tip is tearing out the non English pages of my Cricut cart books, saves tons of room. I store my paper scraps in a plastic folder designed for monthly receipts, has 12 dividers inside and I put my scraps in by color. But I like your idea for keeping my paper pad scraps together. Again thanks for all the great ideas. What a great idea! I currently use an accordian file folder and have my scraps sorted by color. This works for me becasue my scraps are sometimes really small. I love the comments. I have made a three ring binder where I have stamped all my stamps. I then numbered them such as W 1 or A 1. Wooden and acrylic. Or for sets TSOL 1 or CTMH 1 - The Stamps of Life and Close to My Heart. I number both the stamped page and the actual stamp. I separate the binder into categories such as sentiments, nature, Christmas etc. I then store them in numerical order. Acrylic in a binder and wooden in a box. I have also cross referenced them if needed in the binder. It has saved me so much time. Love all the ideas coming from the comments...my brain is on overload trying to figure which ones I want to "borrow". I have one of the 12 x 12 rolling carts with drawers, I sort all of my sticker by category and put in 12 x 12 folders and store them by like subjects in the drawers of the rolly cart - then I can pull it up next to me while I work. My best tip is for everything to have it's place. If you return items to their place after use, it makes clean up and finding the item you need the next time soo much easier. I love IKEA for storage items! Love your cute shaped cards. I "try" to organize scrap paper... I seem to keep it all...I use a big plastic 12X12 folder and keep my scraps in there. It is see through-so I can find the color I need. From time to time, I decide that I will make a couple of projects using only "scrap paper" so I can get rid of some! My favourite tip is really basic. Once every couple of weeks I just use the time I would otherwise use to work on my cards to clear up my crafting room. I have a tiny room (but it's all mine :-))), and I tend to leave a lot of things on my desk. So, every so often I clear out everything and put it back where it's supposed to go. A free second tip (LOL LOL): stop buying all those things you really already have!!! It not only saves you tons of money, but also tons of clearing out time!! I'm excited to discover your blog. The Snowman is super cute!!! Thanks for the scrap paper pad tip. That's a great idea! I use a cubicle storage system that I bought at Michael's for my stamp and card supplies. Some cubes have shelves, others have drawers. I use shoeboxes for my unmounted stamps. One for sentiment stamps and the other for image stamps. Thank you for the opportunity to win. Hi - I buy plastic drawers and put my scrap paper in them by colors. So easy to store and get to. Enjoy your videos and blog! Hi there. Thanks for sharing. I like to use a long skewer through ribbon reels. I then put them in a box and the skewer keeps them very tight but not too tight that the ribbon cannot be pulled out. What a great tip. My tip...I have baskets for my paper. Each basket has a color family. I use my 12x12 page protectors and place the scraps in the protectors and put in front of the respective basket. I use a simple ring to join page protectors together with various scraps. When I need a paper I can just grab the ring of protectors and use these first scraps first. My grandkids, who love to scrap with me, know that when they are "creating" that they use the scrapbags first before cutting into a fresh new piece of paper. I just joined your blog. I use an accordian file to save my different colored scraps. It makes them easy to use. I'm not as organized as I'd like to be! Great information! I love getting new ideas and can't wait to try some new things with my CRICUT! Hi, I am interested in reading about all the different tips people leave here. I stamp all my new stamps onto card stock and store them by company in a 3 ring binder. Each is numbered on the card stock and also on the cd case I store them in. Easy to find one when I need it. Love your blog! Am so happy to now be a follower, too! My organizational tip is to "kit" layouts by putting photos, patterned papers, diecuts, sketch and memorabilia, rubons, brads, etc, together in a 2 gallon bag, or the like. Journaling or just notes of your thoughts as well. Making these ahead as I come in from a sb buying trip, makes my crop time much smoother! I tend to overpack my kits so that I will have some choices when I sit down to do it. After I finish the layout, I try to use up the scraps to make quick cards. I come away with a layout and cards from one kit, because I know I won't need the leftover supplies. (I keep ready made cards in my scrapbag for this purpose). Congrats on the hits! My organizational tip is that i like to keep my most used tools and supplies in a black and decker rolling cart. It has two separate boxes that each have a removable tray in them. This way when im working at home i can just open them up and get what i need out to use. I keep my ribbons, twine, etc. in the trays to keep them organized. And the other great thing about the rolling cart is that it is so easy to take when i go to crops! All of my favorites are already loaded in. Plus on the top it has small containers to keep all of my sponges, blenders and inks in! When not in use, i just roll it in the corner! Thank you for giving us the chance to win! My tip is for organizing ribbon. Attach two wall mounts used for hanging drape rods to the wall. These should be a design that sticks out from the wall by several inches. Buy 1/4" wooden dowel rod at Michaels and run rolls of ribbon through. Hang dowel rod onto drapery rod mount and secure by tying each end of dowel with pipe cleaner onto the wall mount. Use any easily manipulated tying material. Your card on Everyday Cricut is adorable! I love shaped cards. You have inspired me to make a few this weekend. Lots of great tips have been submitted. Looking forward to trying a few for myself. My tip is to print the cricut book and file them in a 3 ring binder. When I am looking for a specific cut, I take the binder and flip through the pages. Great thing to do on the bus to/from work. I print them dounble sided and 2 cricut pages per page. They do not take up much space. Thank you for that great tip for paper scrap storage. I would never have thought of that. I am definitely going to put it to use! My tip is for rubber/clear stamp storage. I stamp the images on pieces of paper, listing maker of stamp, name of stamp or series and storage location of stamp. Then put the pages in a binder. That way I just go through the binder when looking for a stamp and all the info is on the page. congrats on being so popular!! Your tips are really great. Thanks for the video. Linda - thank you for the scrap organizational tip/video. Never would have thought of it. My tip: I use a Thirty-one (http://www.thirtyonegifts.com/) Mini-Organizer for my pen/cutters/rulers/adhesives/etc... so I can grab and go. Over from Everyday...Glad to find your blog! My only tip is that if you can't see it, it doesn't get used. I keep a low sided box next to my Cricut for scraps. It's amazing how much I find in there, I would love to win anything! Love your blog and projects! My tip is for organizing ribbon. I use the Ribbon Rings storage system for storing all my ribbon. I keep a ring of each color and I can see exactly what ribbon I have. It took awhile to organize all the ribbon on the cards and rings at first, but it was so worth it! I have a small craft room and need my desk space so put everything I can on the wall. Years ago I bought wire picnic silverware holders at JoAnn's. They have 3 small sections on one side and a larger one on the other. I have 7 of them hanging above my table. Each one contains different parts of my crafting supplies. For example, I have one that has scortape and my tape gun in the larger back portion, glue sticks etc in one small part, and tools and/or scissors in the other two. I always know where everything is and it's up off the work surface. My organizational tip is for Stickles or Dew Drop ink pads: Using a toolbox from Menard's (they look just like the Artbins, but with two layers and about 1/3 of the price) you can easily and neatly store all of your Stickles and/or Dew Drop ink pads. If you are like me, it makes storing them in perfect ROY G BIV color gradient lines super simple! Thank you, Linda, for the chance to win such a fantastic prize! Somehow, I don't have any of those cartridges!! Well, organization is not my strong suit but I try. I keep all my "tools" like scissors, tweezers etc in a metal pencil holder on my desk. That way, the little things don't get lost and I at least know where to start looking! I love tips for storage! I have two tips to share. The first one also takes care of those pesky scraps of paper. I have 3 sets of the 3 drawer (I think they are Sterlite brand from Walmart) white organizers. The drawers inside dimensions are about 12 1/2 x 12 1/2 and I have them divided by color family and then one drawer for prints. It works great, keeps them right there by my cricut and that way I can just grab the colors that I need quickly. The other is for my ribbon. I made tags with 2 rectangles cut out of them to hang my ribbon on. I then hang the tags in binder rings and hang them on hooks in my craft room. Now I can see all the different ribbons that I have. I still keep my rolls of solid colored ribbon in a bin though as the lengths of them would be too much for hanging on tags. Hope these tips help someone out! I am always looking for cheap, efficient ways to store my supplies. My desk was slowly being consumed by scrap paper of all shapes and sizes. I happened to have some 2gal, 1gal, and 1qt size Ziploc bags in my room, so I took a deep breath, and dove in!! I use the 2 gallon bags to hold full size sheets of paper, arranged by color group. The 2gal size easily holds 12x12 paper! Then I have a 1gal bag that I have bigger scraps in. I use the 1qt bag for smaller scraps. I keep my patterned paper in Ziplocs by the pad. That way all of the scraps stay with their original coordinating papers. I keep these in a box right now, but am hoping to get a rolling file, big enough to hold 12x12. It is not very high tech, but I feel so much more organized now! I am a visual person. If I do not see it, it does not exist. I use clear containers to store most supplies on book shelves. First time to your site! I have a plastic storage unit with about 20 mini drawers (that your find in the hardware dept.) for keeping small items like brads, buttons, stamps, etc. The other tip is I use a recipe box with dividers for storing small scraps of paper, by color. Thanks! Wow!! So many great tips! I organized my stamps in a binder inside clear sheet protectors. I also organize all the sentiments, quotes and titles I like in a file on my computer. This way they are ready to be printed when needed :-). My favorite tip is to store my scrap paper in a filing cabinet by color. It's super easy to find each folder. My husband bought and installed two 15 wodden slot shoe storage and put them on the wall over my work area. I store my cricut tools, staplers, 4 x 6 paper packs , paper cutters, envelopes etc. up there. Easy to see and easy to just reach up and grab. Makes for a clear work area but have everything handy. You have a fantastic site. Your cards are beautiful! My tip is for organizing embellishments. I purchased one of those containers.from Home Depot that has all the little drawers to separate nuts and bolts. I have all my brads, my tags, my chipboard pieces and my bling in there. It works great and doesn't take a lot of space. I have really enjoyed reading everyone's tips and loved your idea for storing scrap paper my tip is I have a 3 ring binder with clear baseball/hockey card pages that I store my small $1.50 bin stamps in they are seperated into categories like Christmas, Halloween, floral etc. I love zippered pencil pouches! They can be added to your binder and I put colored pencils in one and gel pens in another. Wow! There are some great tips on here!! I already use alot of them but my tip is to label everything! The clear shoeboxes, photo boxes and I use the plastic pencil boxes alot too. Label it so you know what is in it. Just found your blog and love all your inspiration. I crop away from home more than at home. I put items in clear labeled stackable containers that snap together. This way you can easily carry them with you. I also put together my own page kits in plastic sleeves with everything including photos needed to make the pages. Linda, I enjoy your blog and videos. I store my cardstock in clear plastic cases (purchased on sale) and store them vertically. I can see the colors and my paper remains dust free. Came over from Everyday Cricut, and I am enjoying your blog..loved your shaped cards too ;) I recently needed a place to put all my embellishments because they were originally stored in a box where I had to dig for just the right embellishment...I purchased an over the door clear shoe organizer and put all my embellishments in the pockets & because its clear..I can see all of them hanging behind my craft room door. I even labeled each pocket so I know exactly where to place all my goodies!! 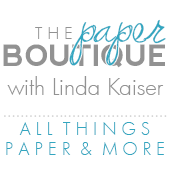 I love your idea for the paper pads made out of left over scraps, very clever. I store my paper and scraps in file folders and same with my stickers they are filed by theme and colors. Your projects are wonderful. Congrats on all those hits. I came over from Everyday Cricut. Subscribed to your blog now too. There are some great ideas here! I have a closet dedicated to my crafting and I use baskets (all sizes) to store my supplies. Each basket is marked. I also have a huge paper sorter in my craft room where I am able to store a lot of paper by color. Hello Linda, i would like to share my tip for organizing my ribbon & floss, for my ribbon i use the see thru shoes boxes you can get from the dollar store and separate them by color with a color tag on the outside and for my floss i also separate by color using the Ball jars that your granny may had used for preserves..
Love what I see on your blog. I am going to check back and see some of your older posts. Thanks for the inspiration. Your cards are really cute. I store all my scraps in clear bags by colour. When I get overwhelmed with the scraps then I donate them to a daycare center. I then start all over again. I use clear fishing tackle boxes that have dividers to store buttons, brads and other small supplies. Love the shaped cards! Very cool idea for paper storage! My tip is to consider using hanging shoe organizer(if your space allows) for those items that you want close at hand. I am able to hang a shoe organizer right at the end of my crafting desk and I keep items in there that I use over and over again while making cards. I love it and it was soooo inexpensive. I got mine for $2.50 at Target. My idea is about paper storage. I use stacking egg crates for my paper storage the 13 x12 papers and pads fit perfectly. Came over from everyday cricut. I have A LOT of ribbon. I store it on long curtain rods, putting the spools through the centers. Then I hang them on the wall like they are curtains. Love the shaped cards! I just organized all of my paper...again! I have the cardstock organized by color and the patterned paper organized by maker and designer. I placed it all in Cropper Hopper vertical paper holders so I can flip through and easily find what I need! Thank you for the cool ideas and tips! I love the snowman card! I'm kind of new at this so not very organized yet, but I did buy some plastic drawers so i could separate my paper by color and then labeled them so I can get to the color I am looking for easier. I love your blog...came over from Everyday Cricut. I have a "portable" file drawer that's plastic and holds hanging dividers for my paper...and another that can hold my 12x12 paper. My favorite organizational tip is: I printed off all the sample pages from the cartridge library on Cricut.com for the cartridges I own. I then put them in sheet protectors and behind each one I put a baseball card sheet protector. I use that for extra things I cut and might use in the future. Larger cuts I put in the sheet protector behind the sample page. Nothing ever goes to waste! 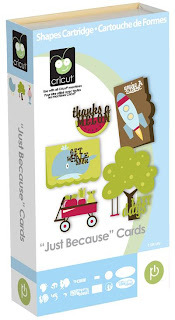 I am a new follower...came from Everyday Cricut...very cute cards. I am a big fan of the shaped cards myself. I have a very small craft space in my house so I had to put up some shelves on a wall above my work table. I use clear storage boxes that are labeled for foam stamps, stickers and ribbon. I use standing clear drawers (labeled) for tools, scrap papers, adhesives and paper for each of my kids. I also have turned an armoire that was unused into storage for machines and albums. I gave the bottom drawers to my two girls so they could keep their own scrap supplies there too. Thanks. Love your tip for storing paper. My tip is for cardstock leftovers. I got a 12x12 album for under $2 at a thrift store. I sorted the cardstock by color family into each page protector. Thanks to you for your great site and to everyone that posted here with all their wonderful tips! I also had some tips, but after reading all the tips so far that were posted....mine were already mentioned! I am very unorganized, I tried and recycle things I no longer use for my storage of growing craft supplies. I use a mail holder that I turned into a great holder for my adhesives and I use the little dog food cans that come with lids for my brads I decorated them and have each marked and stacked. I am amazed at some of the clever ideas I have read. I sell Longaberger baskets so I use a ton of them to hold my tools, stamps and ink and odds and ends! Loved your snowman image. It inspired me to start creating my Christmas cards. My fav organizational tip, is 'organizing leftovoer paper'. What a great idea & it looks like a pad of papers. Very cool. Right now I have all my leftovers in a drawer, sizes and colors all mixed up. Thanks again for this great tip. I don't have a craft room, so I am always looking for good organizational ideas that can help me with all of my crafting goodies! I use clear storage boxes for like-colored paper, clear shoe boxes for stamp pads and stamps, and baskets. I put a small bookshelf in a closet and store everything on the shelves. I love the Pampered Chef turnabout idea for storing markers, scissors, etc. Great tip! Congrats on your 250,000 hits, Linda. I am new to crafting so don't have much figured out organizational wise but I do store my Cricut cartridges in my bookcase. The titles are very easy to read that way. Congrats on hitting 250,000!! My organizing tip is: I use a weekly pill despenser. The ones that have the days of the week on top. I devide them by size and just put them in each day of the week. I will be heading over to see your project. Thanks for the chance to win this great giveaway. I love how you store your leftover paperstock. I may have to switch my system!! What I do is use one of the pocketed plastic envelopes. Two actually, one for solids, one for patterns. I separate by color and put a small swatch of the basic color (brown, red, green, etc) on the tab so I can easily find the color I need. I cut off all strangling ends of my scraps so they are square which makes them neat and easy to file. Hi, my organizational tip is "how to store clear stamps". I use a transparent page protector with a piece of cardstock (81/2 X 11"). I place a stamp set on each side of the cardstock. Sometimes, depending on the size of the stamp set, I can get 2 on each side of the cardstock. I then label the stamp sets using dividers and put them into a large 3" - 3 ring binder. I use a tool box with a clear lid for my stamps and ink pads. To organize my Faber-castell Gelatos and my mini misters I use the box that are vitamin drink comes in. (It is called Zipp-Fizz). The holes are the perfect size. I also store my neddles in an empty zipp-fizz powder container. When I re-did my craft room I bought 2 base kitchen cabinets and used those as the "base" for my work table. I then bought a stock piece of counter top from Lowe's and put the two base cabinets on each end. The middle is space for a stool or just for me to stand. One of the base cabinets I bought was a "pots and pans" cabinet and it works GREAT for storing lots of bigger craft supplies, like cartridges, cuttlebug, punches, etc. I just found your blog via Everyday Cricut and just subscribed to get your posts. My tip is a simple 3 layer lazy-susan -- 3 wooden circles of 3 different sizes with a hole in the middle of each for a wooden post to go thru to the turntable. Easy to put together and then decorate and I use it to store my Robin's nest bottles and boxes of Dew Drops as well as other smallish items I use a lot. I have this on a shelf above my work table and can access various embellishments at any time. Thanks for the opportunity to win these 3 awesome cartridges! Hi Linda, Thank You for sharing this video. I was recently looking @ the different scrap leftover papers & was thinking how do I organize all this? Now I know! :) Yay! Thank You! & in my language: Muchas Gracias! I will keep watching your videos to learn a lot more. WOW... what a great idea! I use rubber cement instead of tape to make note pads this way but never thought organize my scraps. hmmm.. I use a photo box to organize my cuttlebug folders and cutting plates. I am so glad you were a guest designer! I will be following you now. I absolutely love your tip about making paper pads from scraps! I have a ridiculous amount of paper scraps! I can't bring myself to throw them out, but I dread having to search through them. I use small metal planters and mini buckets, (from the Target dollar spot), to hold markers/pens, assorted tools, and notepads. I also use the compartmented storage boxes for beads to sort any little die cuts I may not have used on a project. Sometimes I'll even cut a few extra images off a cartridge I'm using, just to find use for them later. The boxes are a great resource when I need to make a quick card! Very good idea. I love stopping by to see what you have come up with. You are always very helpful. Thank you for sharing. One of my favorite ways of storing my scrap papers are in my clear saqaure containers you can get at Michael's for under 5 bucks. Good luck everyone. I used to forget about rub ons and small bagged items that I bought. I purchased inexpensive towel rods from IKEA and attached them to table beside me and used "S" hooks to hang them from the rods. This way I see them and don't to use the items :) Thanks and I lvoe you site!! Great video - thanks for sharing your tips!! I keep all my scrap pieces organized by color in the big clear pouches. When they fill up and I can't remember what's in them anymore, I go through them and purge - all my scraps go to the art teachers at the elementary school. I love walking the halls and seeing little scraps here and there from my own projects. I remember what I used each one on and I'm thrilled to be helping the school. Well, my tip is so very simple .. I use to stack my plastic scrapbook containers now I label them below the closer. Sit them on the side edge an tuck them in then roll them up so the label shows. You do not have to take ever storage container off the stack to get to the one you want because they are all accessible filed like library books. I repurposed a spice rack to store my buttons. I cleaned the bottles up and made colored labels for the lids. I also organized my papers scraps and put them into gallon sized storage bags. I can see the colors and have really started using them more! My favorite organizational tip which works for my crafting style is to put all like items in drawers. I use four of the 3 drawer 12x12 Sterilite units. All embellishments (brads, eyelets, bling, ink pads, stickles, buttons, etc) are stored by color. These are the ones I use: White, Yellow/Orange(b/c I dont have a lot), Pink, Red, Violet, Blue, Turquoise (b/c I have tons), Green, Brown, Black/Grey, Metallics. Very easy for me to go to the color I need. I just came over from Everyday Cricut. Your cards are beautiful.My tip...I had my husband put some peg board on the wall . I hang a lot of embellishments extra tape . I made boxes that I could hand for stuff that didn't have anything to hang it with, I made the box so I could see what was in the box. Love your scrap paper saver pad idea!! I can organize them by color now; I like that. I have ribbons stored on a slacks hangar that has multiple rods. They are sorted by color. Easy, peasy and they hang in the closet and really handy for when you need them! My organizational tip is for clear stamps. I store mine inside clear CD storage holders. I try to attach the preprinted stamp images onto the front of the holder so I know what stamp set is in each. Thanks at a chance at such a great giveaway!! I am a subscriber to your blog! just found your site coming from Everyday Cricut...Love that snowman card..My tip is for storing cuddlebug folders..I got out my Creative Memories sticker binder and found that the pockets are the right size for all the folders.. Iuse the larger pockets for the spacers and plates..I can zip it up and don't have to worry about losing anything. Love this topic. I have a craftsman tool chest in my craftroom. It is black not the red one that you see in garages. The thin drawers are perfect for stencil,sewing needles, notions. some of the drawers are perfect depth for stickles and paints. I even labled the drawers. I organize my ribbon rolls on small diameter curtain rods attached to the back of the door going into my sb studio. I tied a pair of scissors on the rod and then hot glued a magnet to the door for all the small pins I use to fasten the ends of my ribbons. It's out of site behind the door, yet very accessible and looks neat. Found your blog today on Everyday Cricut, LOVING IT!! My organizational tip is: ArtBin Super Satchels! They are wonderful! I keep my papers organized and they are handy for stamps/inks/embellishments and so much more! Love your idea on storing left over papers. I have been storing my leftovers in file folders sorted by color scheme for solids and just putting left over pieces with designs in a container. I like your idea much better. Thanks so much for sharing. My favorite organizational tip is that I store all of my adhesive pearls, beads, and gems sorted by color and then by size, and then I place them in an inexpensive photo album I got at Michael's. That way, I can page through them pretty quickly (I'm thinking of putting index tabs on them to identify the colors) when I need them. Thank you for the opportunity to win your fabulous cartridges!!! Of COURSE I am a follower!!!!! I like your idea of the scrap paper book -- I have all my scrap paper in plastic 12x12 folders sorted and labeled by color. When I go to crops I use a large book bag to haul my scrap paper in. I recently found your blog through everyday cricut and I have missed a lot!! I have a basket next to me as I am working on a project that I throw scraps into and when I am done I put them into their correct drawer by color. This eliminates having to stop to put scraps away while you are working. My wife likes to use ribbon snap ware boxes with plastic mesh canvas dividers to store Cricut cartridges. Loved your organizational tip. I'm not that creative. I thought I was doing a great job in keeping my scraps together in a clear plastic container that I got from the Craft store. Your's is one better. Thanks for the tip. I haven't read all the tips here yet but will come back to them. I seem to forget where a lot of things are, so for me, if I can see through it...that's what I like to store my things in. If it's in view, I can see exactly what I have and not have to search through drawers and boxes. One of my tips is that I use an over the door shoe storage rack to store my punches, heat embosser, tools, extra tape, etc in. My door is close to my desk so it is handy. My favorite organizing tip is baskets! i use them for the small ribbon spools, I use them to carry my supplies so they are all in one spot and my hands are freer!! Thirty-one has a utility tote that I use for when Im making my cards...carries everything I need to use and it can all be kept in one place til I am finished with my project! I like to organize all my paper in a file cabinet, every variety of one color shares a folder so I can see the different shades at one time. I keep my printed paper together by the packages they come in so I know they match if I'm in a hurry. Thank you for sharing the shaped cards and the scrap saver idea...SO CUTE!!! I also use a Michaels shelving system for my 12x12 papers....I organize them by color...so all the designs and colors are together!! I have not found a way to store all of my crafting stuff. I am currently sharing bedroom with my Fiances son, who is currently serving in the military. I am still looking from a place for all of my things. Most of which right now are in clear storage boxes stacked on the floor. Not yet real convient. Any ideas? will give you an ingenious method for storing your Cricut Cartridges and Booklets using SnapWare's Snap 'N Store Ribbon Dispenser (on sale at JoAnn fabrics for 50% off this week - and also on sale fairly often). Check it out! I love your tip on paper scraps and can not wait to try it! I need to organize my supplies and tools. Recently I bought a four tier foldable rack called "Origami" that I am using to try to organize my punches, machines, paper in clear boxes, etc., so my craft table stays clear except for my every day tools. Also, I think with the punches and Spellbinders, and other tools in sight I hope to use them more! Thanks for all your tips. Thanks for the chance to win all 3, I would, for sure do a happy dance if I won!! Wooohooo! My craft organization tip is to keep like things together, and to purge my stash quarterly. I like to pass on u wanted supplies to our local senior center. Thanks for such a great blog and such a generous contest. Love the snowman! Thanks for sharing. My favorite organizational tip is the 3 drawer plastic containers by Steralite. The drawers are 12.5x 12.5 so you can organize anything in them. I have them labeled for each season, punches, etc. Congrats on 250k hits!!! I can't take credit for this, I saw it in a magazine, but I thought this was the coolest organizational tip! I buy the big spools of bakers twine, cone shaped kinda, and if you put one in a sugar dispenser with the end protruding from the little hole at the top, it makes a very nice twine dispenser! I bought mine at Big Lots. My organizational tips I would like to share are, to keep embossing folders and small dyes oraganized, I used the colored plastic CD covers. They are color coded and labeled. Frames, Occasions, Dyes, Borders and Full A2 page, then they are stored in a labeled tote with a handle for easy access. Another one is when searching the internet for sayings or poems to put inside my cards, I print them out and store them in page protectors inside a binder. They are separated by occasion. That way when I need a quote or saying I can easily find one. Congratulations on reaching 250,000 hits Linda! I really enjoy your work. As for organizing tips, i'm always looking for the perfect ideas that i can incorporate to make my unorganized space better. Something i have done for years is to have a blotter calendar on my workspace. I don't have to worry about clean up if my inks or chalks go off the project. I write notes of current projects right on the calendar, transferring it to my notebook if i want to keep it for future projects. When i have a really messy job, i can just rip off the top sheet (or 2), roll it up, and throw it away. I also keep a straight pin stuck in the corner. This helps keep the paper from sliding up and its also a 'cleaner' for my pin when i have to open a stuck Stickles. Thanks for these fabulous 'sharing' contests and prizes! Three cartridges!! What a prize! My best organizational tip.... Shoeboxes. I am storing everything in empty shoe boxes. They fix nicely on my shelves and I can cover them to match. My organizational tip is for my embossing folders. I make a sample of each embossing on cardstock the same size as the embossing folder. I then number each sample of the embossing and use a round metal ring (don't know what it is called)to keep them together. I use a clear plastic box that can be purchased at Walmart to store the embossing folders. The folders are placed behind a numbered tab that correspond with the numbered embossed sample. The idea is to look through the samples (kept in the front of the box)to see the design you want. Look at the number on the sample, and then, look for the embossing folder behind the tab with the same number. What a great idea. I can't wait to try this. Hi Linda, I store my cricut cartridges in quart size plastic zip lock bags. The cartridge, book and overlay fit nicely. Labeled each bag and store them in boxes below my Cricut. I have separate the ones that are currently being used from the others making it easier to find. To organize all my paper, I have wooden shelves (a co-worker's husband built it for me) to hold all the full sheets of paper, separated by color, of course. It's SO easy to find a specific color of paper & much less to rummage through so it saves time, too. I also have a box with hanging legal-sized folders for all the scraps, one folder for each color. This way, if I only need a scrap of a certain color, I can just go to that folder & look through it for the right size/color I need. All my other supplies (scissors, markers, punches, brads, gems, etc) are each in clear plastic storage containers of various sizes & stacked on shelves. They are labeled, but it's easy to see their contents with a quick glance, too!